As the birthplace of the modern Skyscraper, the city of Chicago holds a place in history as one of great architectural innovation. From the first Skyscraper ever constructed, the Home Insurance Building by William Le Baron Jenney in 1884, to Skidmore Owings and Merrill’s Sears Tower (Willis Tower) of 1973, Chicago has seen some of the tallest structures ever built. As a reaction to growing city populations, we build taller buildings, extending the Chicago innovation to places as far off as Dubai and Shenzhen. We have also moved beyond building singular towers, and now we build towers in cluster developments. The familiar tower-podium typology stacks multiple tower extrusions on top of basement level public transportation networks and street level multi-storey podium malls and parking decks. The plans feature a mix of programming-commercial office, residential, retail- with communal amenities like public parks and green spaces. Marketing slogans promise new neighborhoods to ‘Live, Work and Play.’ The promise of a diverse three- dimensional city is there, however many of these developments tend to be less than advertised, resulting in introverted settings. In fact, as a whole we architects have advanced the tall tower typology very little in the past century, beyond our ability to grow it taller and more environmentally efficient. One would question why a building’s structural height would continue to hold such a primary value, aside from say other principles that affect more directly an occupant’s quality of life? As towers are deployed ever larger and taller, as multiples and as networks, human beings remain oddly enough, the same size. We have yet to understand these structures as building blocks appropriate to the human scale. This line of critique is nothing new. One can reflect on more than 50 years of global interest and architectural speculation on the topic, citing Habitat ’67, the Metabolists, Paul Rudolph or Yona Freidman. While these visions fell short to provide a humanist-focused building revolution, each continues to carry a set of values and principles that remain powerful and perhaps even more relevant to the issue today. The studio will be split into three phases. It will begin by researching visions of the past, in order to speculate on alternative models for the future. In the second phase, the studio will split into teams to develop master plans for an active development site in Chicago ‘The 78.’ This is an example of a mega site, with great potential. 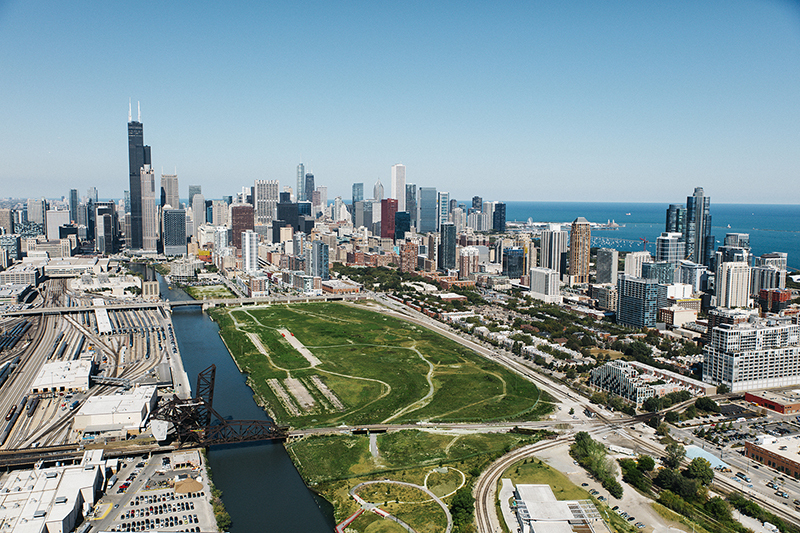 It is 62 acres in size along the Chicago River with more than a half-mile of continuous river frontage. 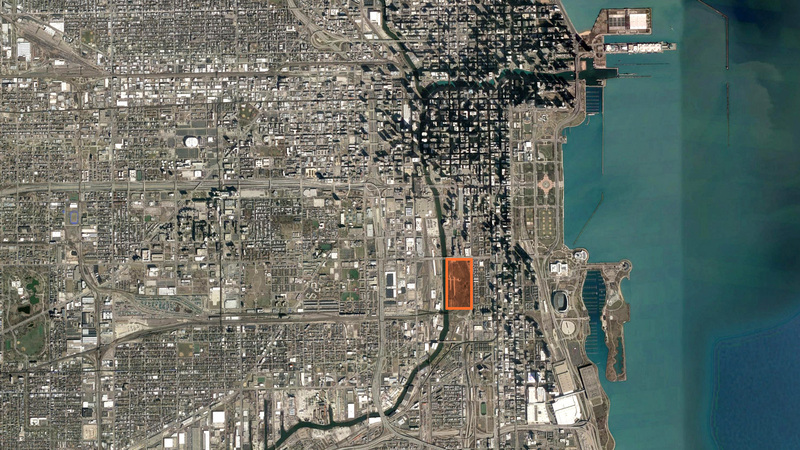 It is the largest parcel of undeveloped land in downtown Chicago. As a studio, a preferred master plan will be selected, and in the final phase, each student will develop individually a building proposal on a parcel within the larger master plan.